Mold is a competitive species for real estate as molds live and prosper in the same environment as we do. The houses we live in are wonderful environments for mold. All houses need regular inspections for mold along with other periodic preventative maintenance inspections. Before fungi can colonize, four requirements must be met: air, livable temperature, moisture, and food. 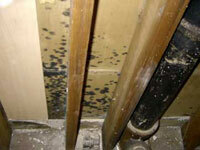 Humidity and water leaks are the cause of most mold infestations. Leaks being the easiest to spot are the first indications that mold may be present, however unusual activities may upset the humidity averages in the house and mechanical spaces and allow mold to establish itself. What is a Redwood Environmental Services inspection? A general mold inspection is a visual examination of a home or building's environmental condition to determine if your home has mold or the potential to grow mold in the future. Provide clear answers on what type of mold, toxic or not, how much and why. Give recommendations based on findings. Digital photos of any detected mold. Provide a fully detailed report as described below including: finds, lab report, construction defects, and assessment of existing mold. Why should I have an inspection? Your home is where you and your family should be safe from harmful toxins. It is also one of the biggest investments you will ever make. A mold inspection can help provide valuable information about the air you are breathing and the investment you are considering or own. A professional inspection can also give you the information needed to help protect against unknown or costly repairs that may not be obvious to the untrained eye. Why should I choose Redwood Environmental for my home inspection? We inspect over 100 points and items including: basement, attic, roof, structural components, plumbing, A/C unit ceilings, windows, siding, under sink areas, vents and many other areas of your property. Should I be present at the time of the inspection? It is to your benefit to be present at the time of the inspection. Our job is not just to inspect the property, but also to educate the homeowner or potential buyer of the condition of the property; these goals can best be achieved if you are present at the time of the inspection. During the inspection, the inspector will be able to provide you a working understanding of the home, which allows you to learn more about the systems and components within the home. A typical inspection of a property less than 3,000 square feet lasts approximately one to two hours. During the course of the inspection, the inspector will explain the condition of the property. 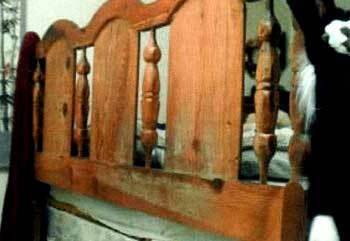 After the inspection is performed, testing may be necessary. If samples are collected they will promptly be sent to a microbiology lab for analysis. Normal turn around time is 48-72 for lab analysis and 5 days for completed report.